Palms are Sacramentals – blessed objects that are sacred signs to remind us that Christ is always with us. Old palms should be burned or buried. There will be a basket in the church Narthex to collect old palms. LENTEN BOOK STUDY, “7 Secrets of Divine Mercy”, begins week of Feb. 17. Registration has closed. St. Vincent de Paul Lenten Lenten Food Drive, March 23 & 24. The truck will be parked in front of the Preschool and Vincentians will be on hand to take your donations. 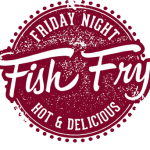 Knights of Columbus FISH FRY Nights – March 6, 8, 15, 22, 29; and April 5 & 12. (There is NO Fry on April 19.) Dinner is from 5-8pm. CROSS OF PRAYERS in the Narthex the three weekends prior to Palm Sunday. Prayers will be taken until Palm Sunday. Write your prayer intentions on a card and attach it to the cross or put it in the basket. Our adoration ministry volunteers will pray over your intentions, which will be used to start the fire for the Easter Vigil Mass. How to Practice Lent series of videos from CRS Rice Bowl. Our PSR program collects money to donate to CRS Rice Bowl during Lent. Abstinence from meat is observed on Ash Wednesday, Good Friday and all the Fridays of Lent by all Catholics 14 years of age and older. Fasting is observed on Ash Wednesday and Good Friday by all Catholics who are 18 years of age but not yet 59 years of age. Those bound by this rule may take only one full meal. Two smaller meals are permitted as necessary to maintain strength according to one’s needs, but eating solid foods between meals is not permitted. Those who are sick, pregnant, or nursing, or whose health would be adversely affected by fasting or abstinence should not consider themselves bound by these norms. During the season of Lent, we are all called to embrace penances and to perform works of charity that reflect our desire for conversion of heart. Let us all pray fervently for those Catechumens and Candidates who will celebrate the Easter Sacraments with us this year. May this Lent lead us all to a deeper union in Christ and with one another. Catholics between the ages of 18 & 59 are obliged to fast on Ash Wednesday & Good Friday. In addition, all Catholics 14 years old & older must abstain from meat on Ash Wednesday, Good Friday and all the Fridays of Lent. Abstinence forbids eating meat, but not of eggs, milk products or condiments made of animal fat. Each year in publishing the Lenten penance requirements, the U.S. bishops quote the teaching of the Holy Father concerning the seriousness of observing these days of penance. The obligation to do penance is a serious one; the obligation to observe, as a whole or “substantially,” the days of penance is also serious. But no one should be scrupulous in this regard; failure to observe individual days of penance is not considered serious. Moral theologians remind us that some people are excused from fasting and/or abstinence because of sickness or other reasons. In his “Apostolic Constitution on Penance,” Pope Paul VI did more than simply reorganize Church law concerning fast and abstinence. He reminded us of the divine law that each of us in our own way do penance. We must all turn from sin and make reparation to God for our sins. We must forgive and show love for one another just as we ask for God’s love and forgiveness. The Code of Canon Law and our bishops remind us of other works and means of doing penance: prayer, acts of self-denial, almsgiving and works of personal charity. Attending Mass daily or several times a week, praying the rosary, making the way of the cross, attending the parish evening prayer service, teaching the illiterate to read, reading to the blind, helping at a soup kitchen, visiting the sick and shut-ins and giving an overworked mother a break by baby-sitting—all of these can be even more meaningful and demanding than simply abstaining from meat on Friday.